What would a student answer if someone asked him/her what his/her favorite college was? You’d probably get thousands of answers! It all depends on each and every student’s taste, passions, capabilities. Nowadays to go to a specific college you need to check if you have the financial statute to go there. But for years, only one college has been at the top: Princeton. 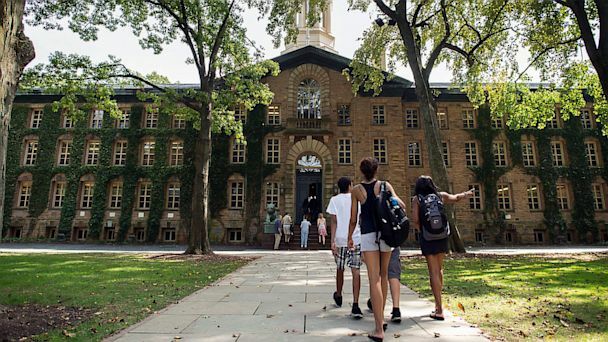 U.S. College Rankings are led by Princeton once again. It has been considered the top national university for six years straight. Williams College is the top liberal arts college for the 14th consecutive year, and the University of California at Berkeley is the top public university. But there are some new faces on the U.S. College Rankings. For example, the University of Chicago placed third on the national university list, tied with Yale and just behind Harvard. A liberal arts college, Wellesley switched places with Swarthmore. The only college that has stayed at the same spot for years is Amherst. There is clearly no surprise as to why those rankings are so steady. U.S. News questions teachers, college officials and high school counselors. They give their opinions regarding the graduation rates, the specific resources of each college, its financial strength, the test scores and the admission rates. It is only natural that these opinions do not change very much from year to year. Some say that the U.S. News rankings display the quality according to the student’s needs. Others think that these rankings only promote some college’s wealth and prestige. Analysts started to apply a judgement called “return to investment”. For example, last year, the average earnings of graduates of 10 years have been made public. “It’s the best existing database on the financial outcomes of enrolling in a particular college. A person’s ability to navigate the working world and earn a living, and not live in their parents’ basement, that to me is a sign of success in college. In the real world, you do have to earn a living.” said Kim Clark, a senior writer on higher education for Money. Princeton, Michigan and Harvard topped this year’s Money list, as expected, most probably. Robert Morse, the magazine’s chief data strategist thinks that parents and children should only take into consideration the academic background of the college, not the eventual earnings of a graduate. There are some important changes in this year’s U.S. News list. For example, a new analysis called The Carnegie Classification of Institutions of Higher Education. This analysis establishes whether a college is a national university, a liberal arts college or anything else. Villanova, until now a regional university was reclassified into a national university because it awarded 20 PhDs. The Catholic university in Philadelphia entered the list at number 50, tied with Pepperdine, the University of Florida and Penn State. In the top 100 were eight universities from Maryland, Virginia and the District of Columbia. Johns Hopkins ranked 10th, Georgetown 20th and the University of Virginia 24th. Expert: Start preparing for the flu season now!